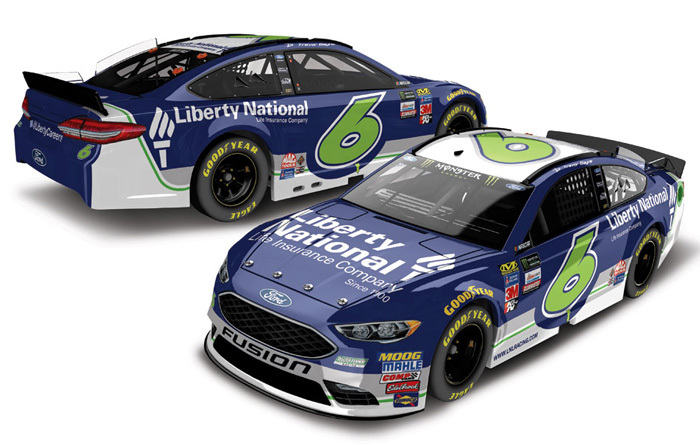 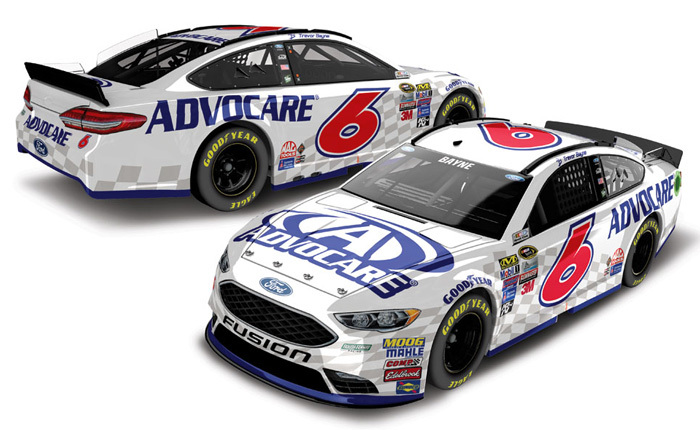 2016 Trevor Bayne #6 AdvoCare / Ford Fusion NASCAR diecast, by Action. 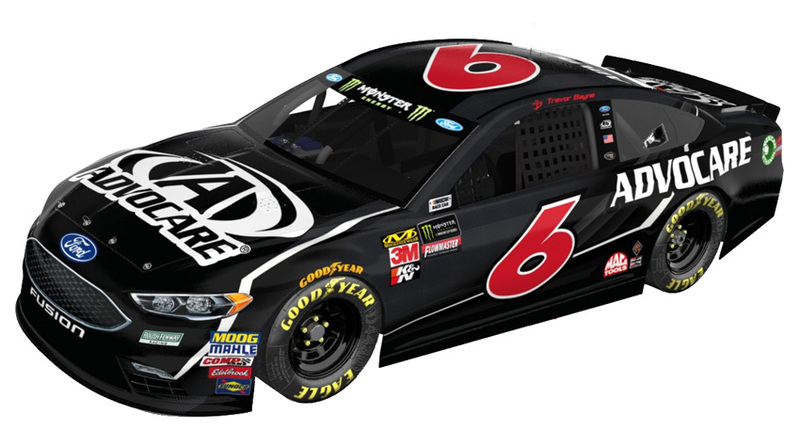 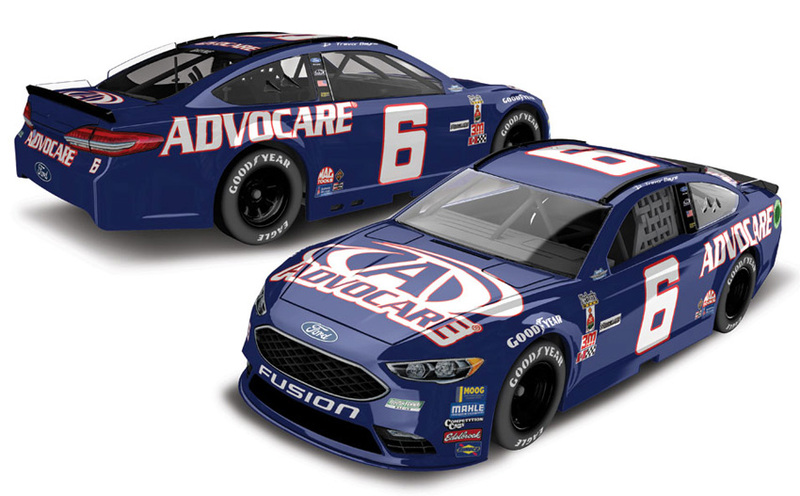 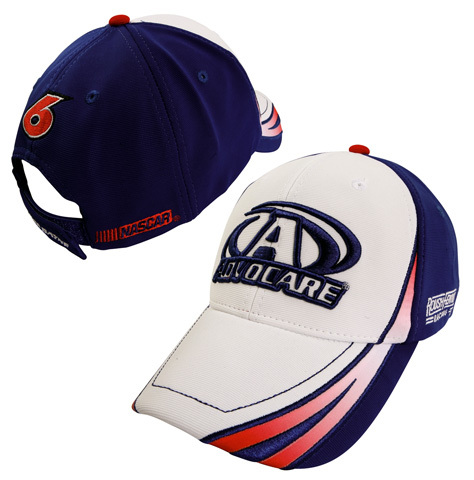 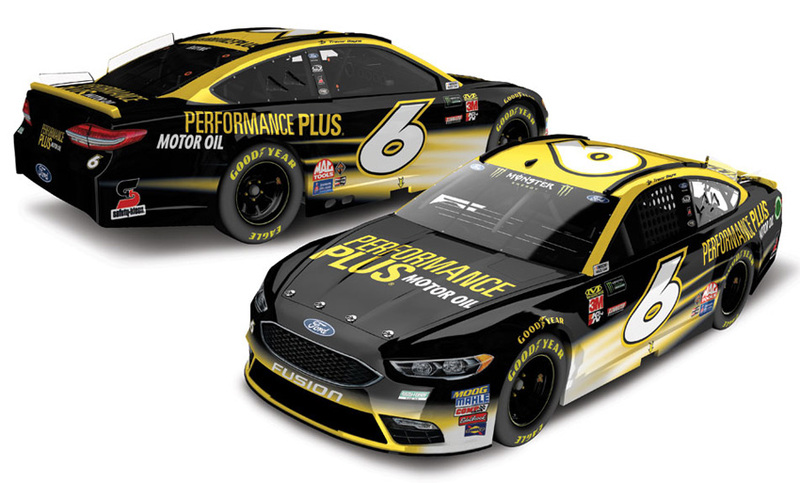 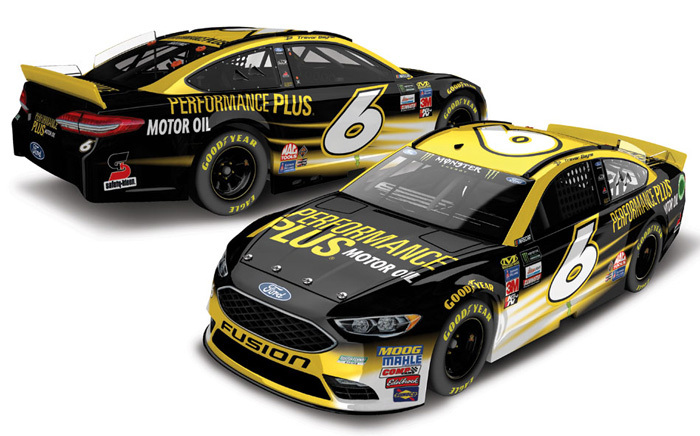 The Roush Fenway Racing #6 AdvoCare Ford was raced by Trevor Bayne during the 2016 NASCAR Sprint Cup Series season. 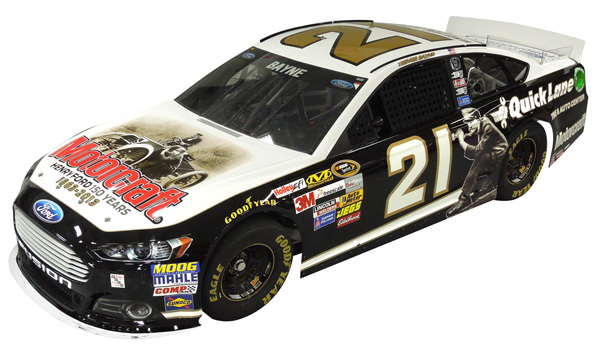 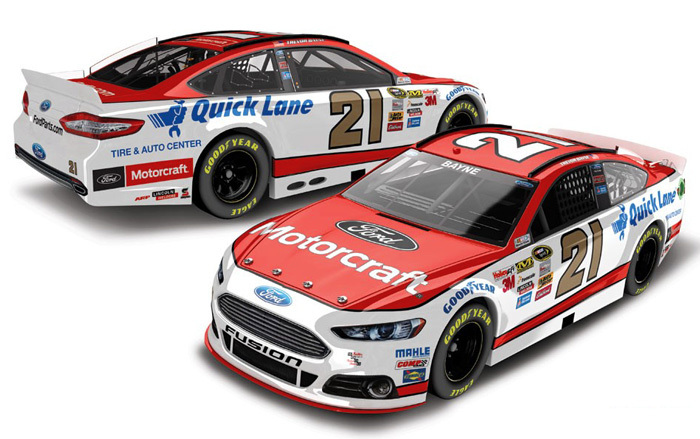 2014 Trevor Bayne #21 Motorcraft / Ford Fusion NASCAR diecast, by Action. 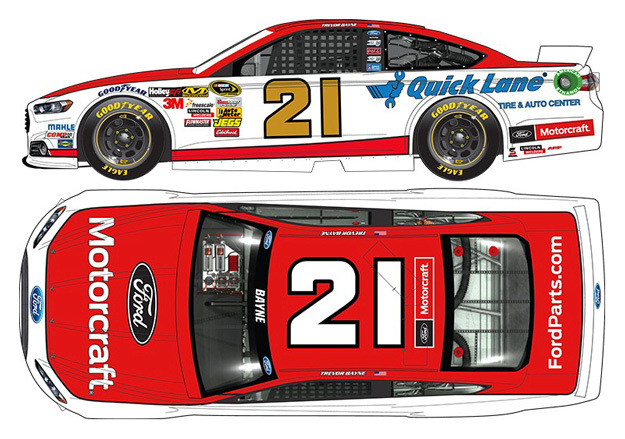 The Wood Brothers Racing #21 Motorcraft Ford was raced by Trevor Bayne during the 2014 NASCAR Sprint Cup season. 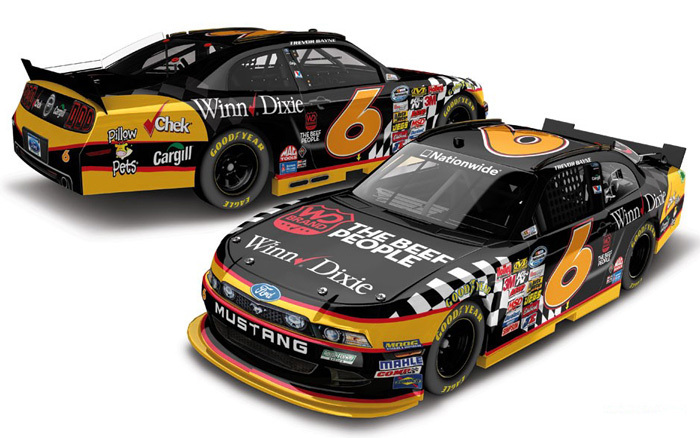 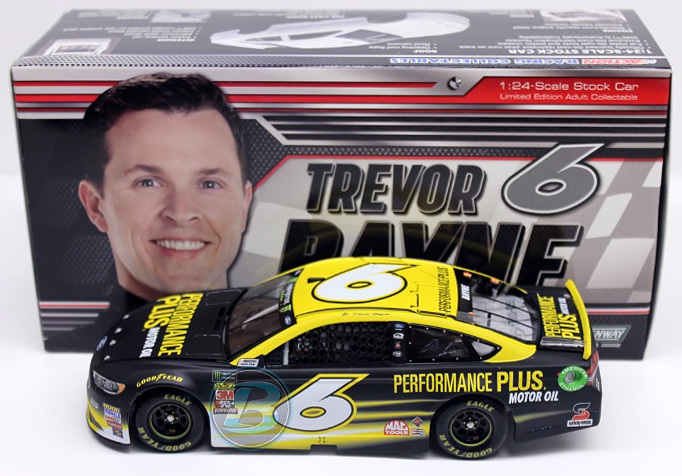 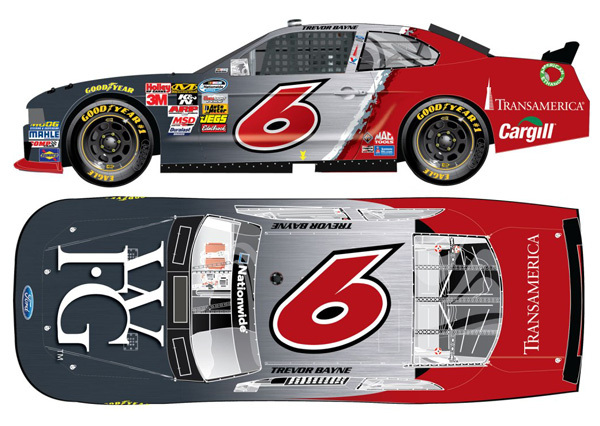 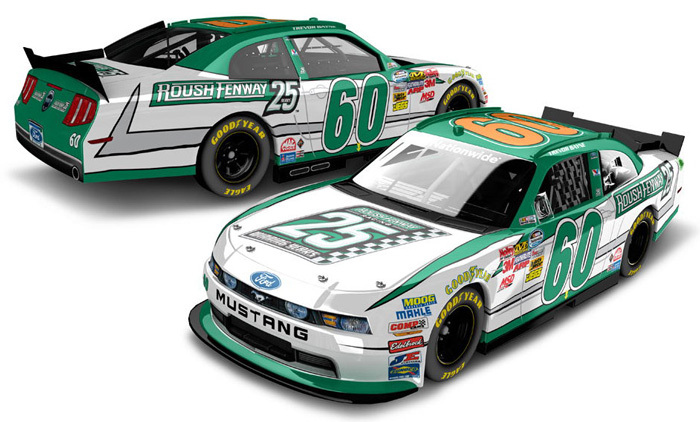 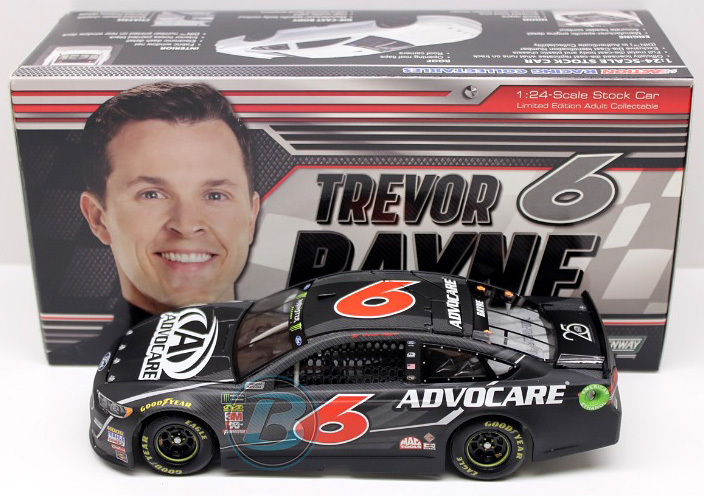 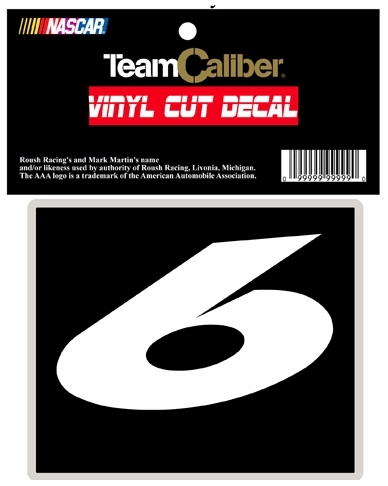 2014 Trevor Bayne #6 AdvoCare / Ford Mustang NASCAR diecast, by Action. 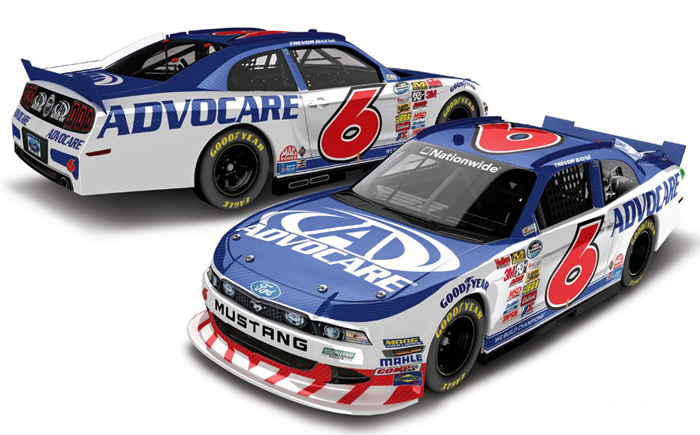 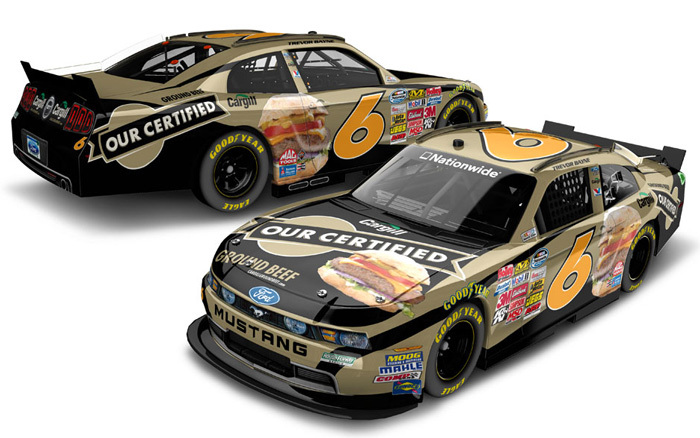 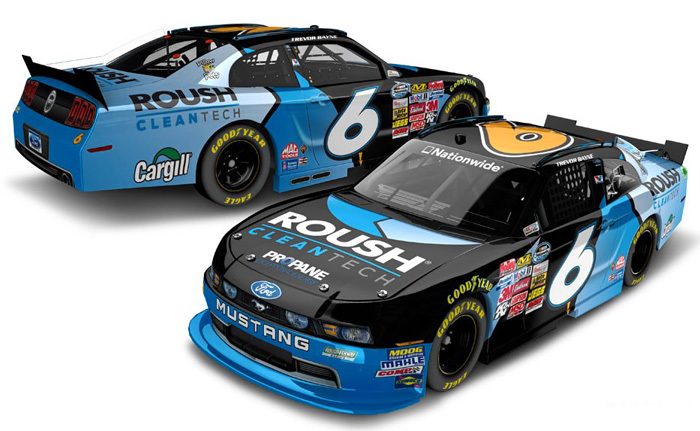 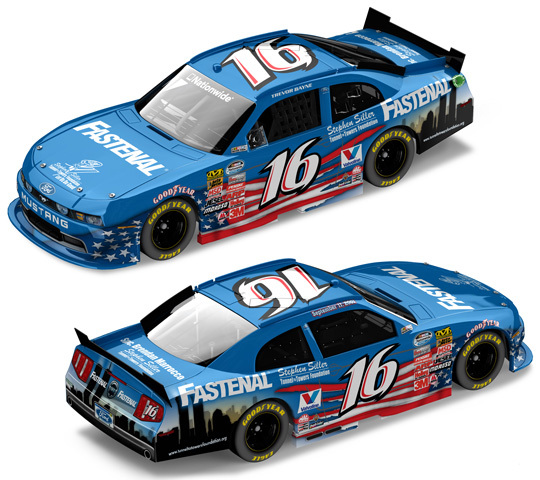 The Roush Fenway Racing #6 AdvoCare Ford Mustang was raced by Trevor Bayne during the 2014 NASCAR Nationwide Series season.